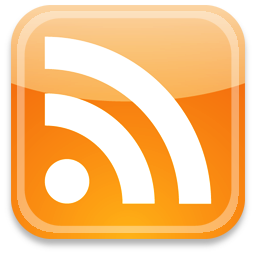 Everyone is familiar with decorating their home or office for Halloween, Thanksgiving, Christmas, and Valentine’s Day. But does anyone get excited to decorate their website with themed designs? 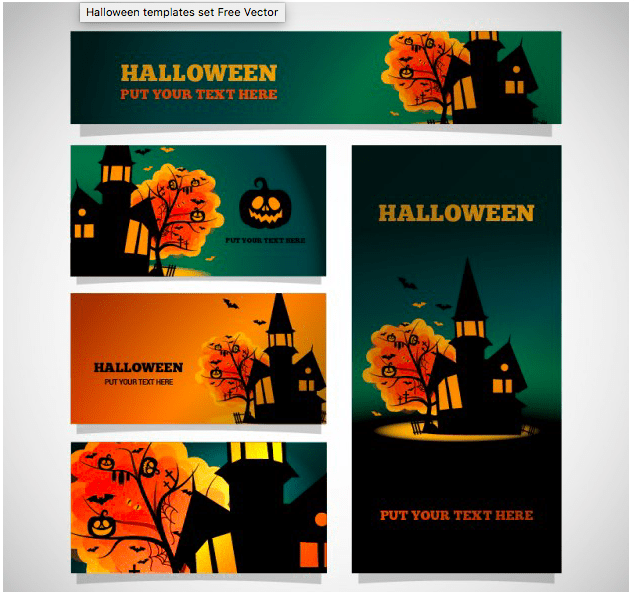 Updating your web design with some fun and spooky Halloween themed free resources can be fun, make your website appear updated, engaging, and more enjoyable for users to navigate through. 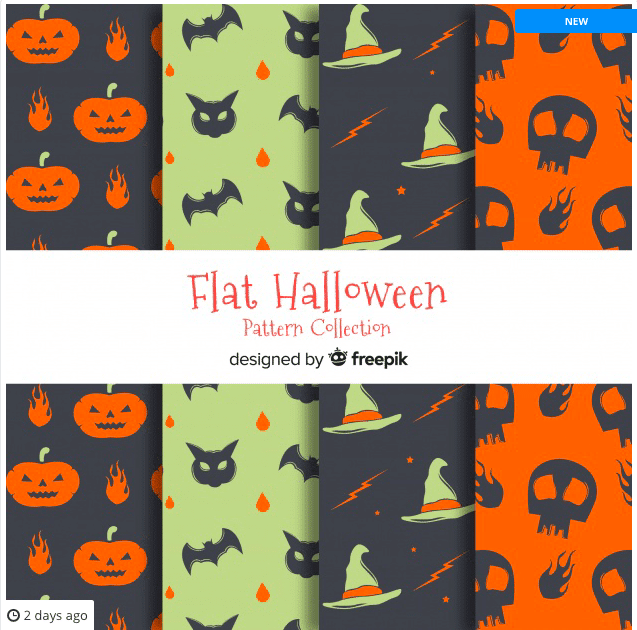 Today, we will showcase a list of Halloween themed web design freebies for the month of October, including Halloween themed vectors, patterns, backgrounds, banners, fonts, and even emoticons! 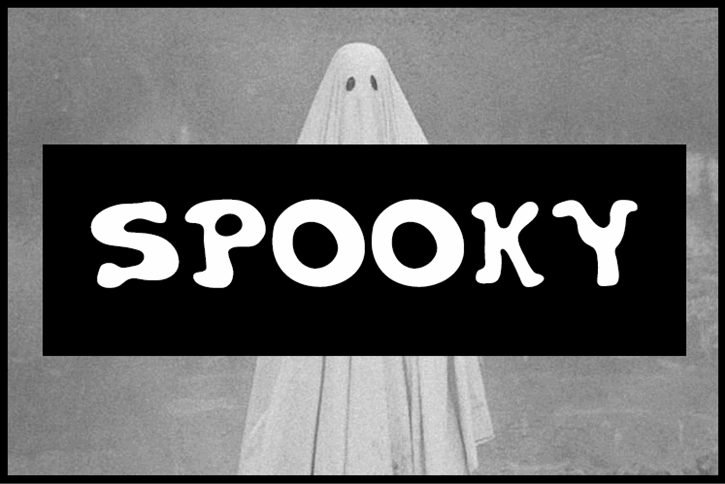 This font is literally called “Spooky”, which gives this endearing, yet perfectly themed Halloween free font a place in our list as a great addition to any web design looking to incorporate some fun (and spooky) Halloween themes. 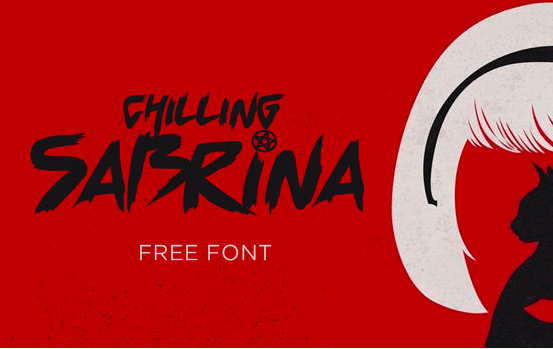 This font serves as a more uplifting, yet still on brand Halloween font. 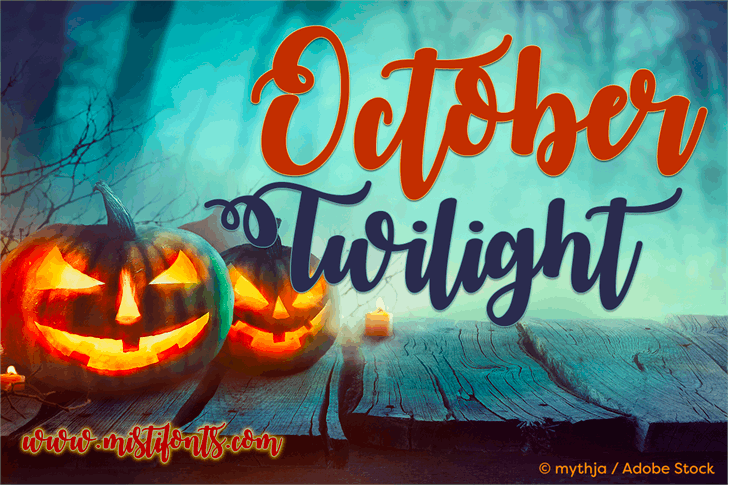 It’s flowing, calligraphic strokes give it body, and allow for an overall light-hearted, Halloween themed font design that’s perfect for incorporating into your website for the month of October. 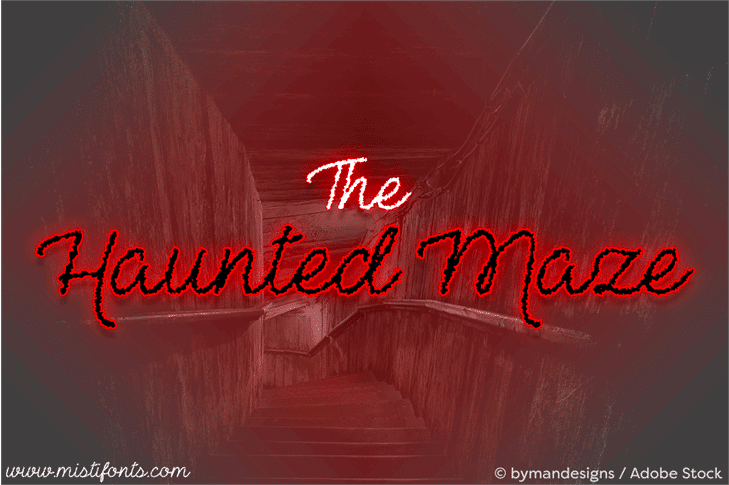 An example of a more gritty, creepy texturized font that is still entirely cohesive in terms of flow and design, this is a great addition to any haunted design. As an ode to the teenage witch Sabrina, this font is an exceptionally created design due to the fact that it is entirely original and unique compared to many other font designs, and it is almost too good to be true that it is a free resource offered online. 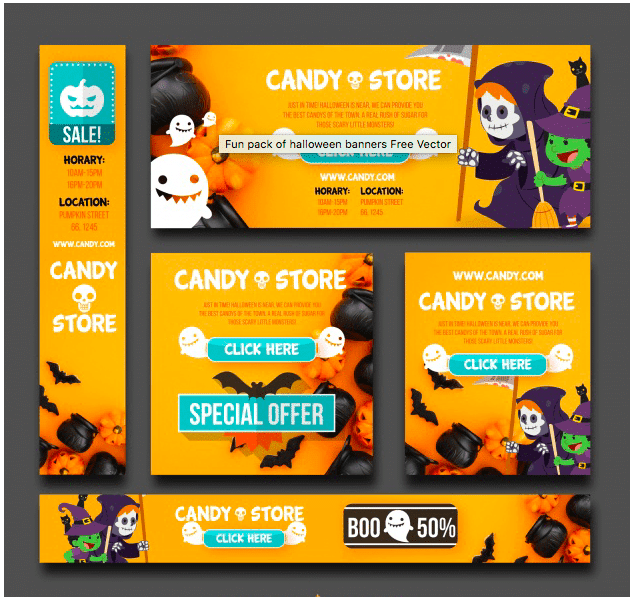 By incorporating the idea that your Halloween theme is accompanied by huge sales, these spooky banners can be a great idea if you want to advertise on your web design, or others as well, to get everyone in the spirit. 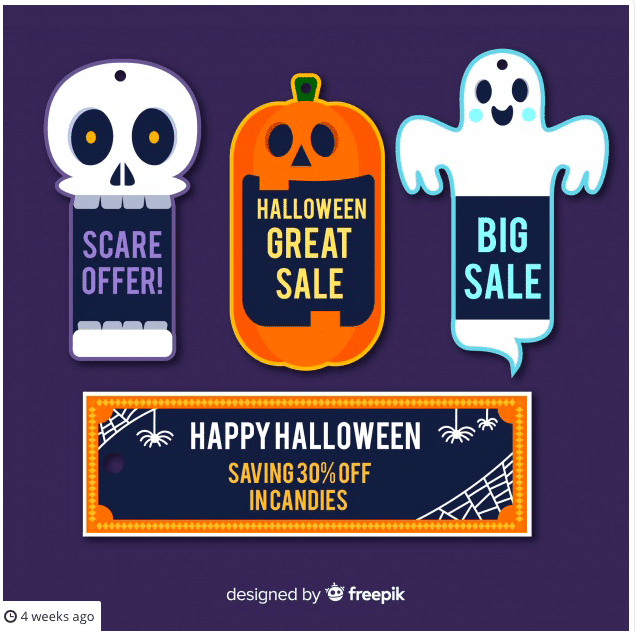 Another great example of free Halloween banners, this example features more illustrations, and different types of icons and call-to-action words that are important for advertisement banners. These banners are great because you can type whatever information that is relevant to your website or company on the banner itself, and they are of course on brand with the colors and illustrations. This beautiful watercolor style Halloween background is settle yet inviting, because the many tones and shades of orange in the background make for a unique and interesting design, along with spiderwebs that frame the corners, yet don’t overpower the overall design, allowing for a great balance that can be included in your web-decorating. 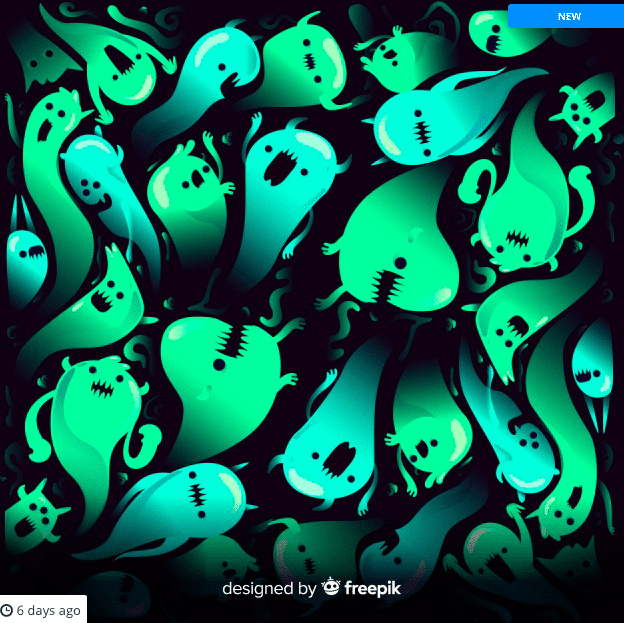 These patterns are great for a simple set fun idea to incorporate as a backdrop or banner on your web design. 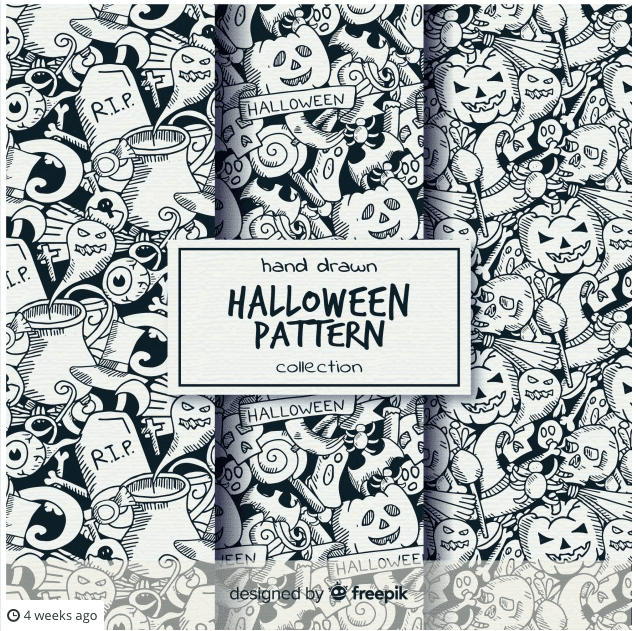 If you don’t want the obvious orange, green, and purple colors associated with Halloween on your web design, this black and white, hand drawn pattern may be the best option for you and your website if you’re trying to decorate for Halloween, but just don’t want all of the distracting, bright colors. The fact that it’s hand drawn adds to its design, giving it a unique and alluring quality that isn’t found in abundance as easily for web design anymore. 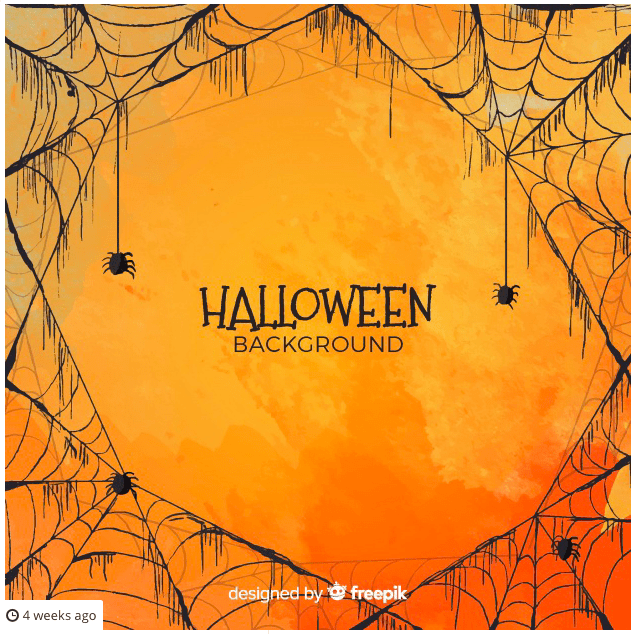 If your web design has colors that are more catered to a green palette, this cute and spooky illustrated background can be a great free resource to utilize for your website design. If you’re more into the gory and scary side of Halloween and don’t want to use all of the cutesy, spooky illustrated designs, then this one might be for you. 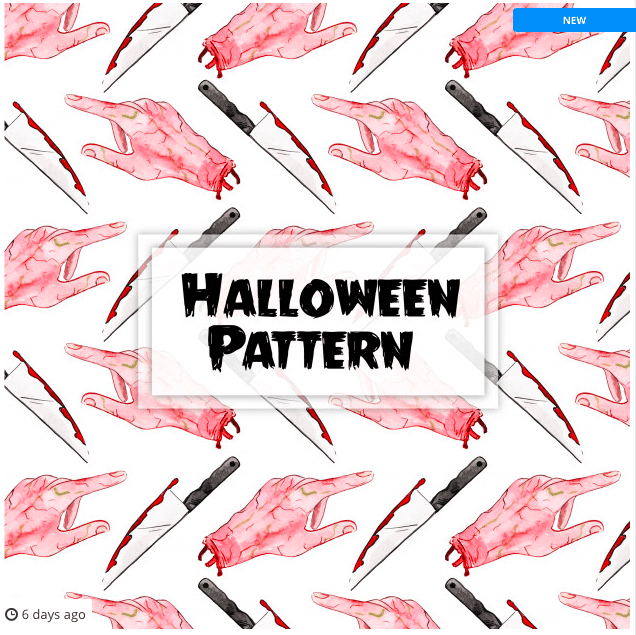 With an illustration of a watercolor design of a severed hand and a bloody knife, this patterned background is both interesting, scary, and would go great with a red or pink palette based on your current web design. With a palette of cool colors as opposed to the usual bright orange and purple hues, this vintage in appearance vector is both on brand for your web design, as well as relaxed due to the silhouette design chosen here. 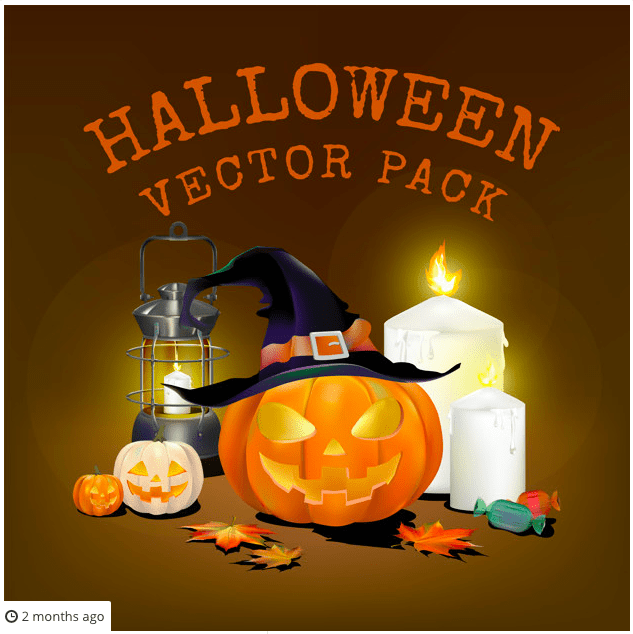 This Halloween-themed vector can be considered a dark colored and interesting design that is the definition of Halloween. With a jack-o-lantern wearing a witches’ hat, to lit candles, Fall leaves, and candy, you can’t go wrong with this vector on your Halloween-themed web design. Just as important as banners, labels are also great call-to-action options for advertising your website, and getting people to keep on clicking. These are a great example of simple designs that emphasize the text, that will in turn allow information about your website to be reached quickly and efficiently. 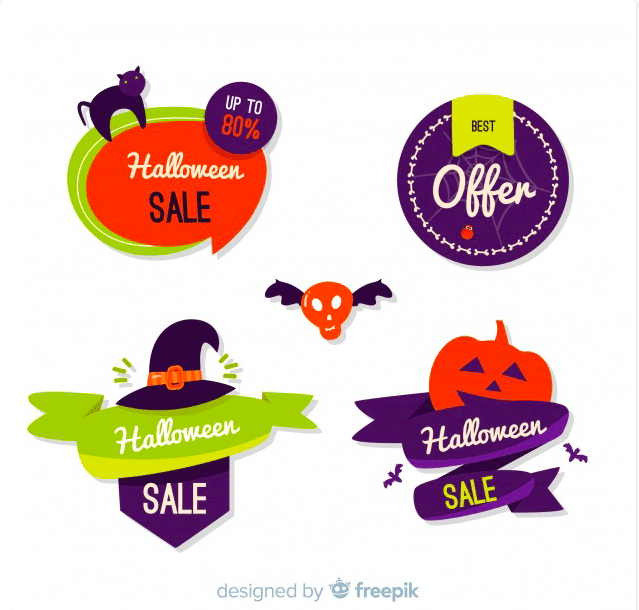 By incorporating a different palette of colors that aren’t commonly used, yet still signify Halloween colors strongly, these illustrated labels offer a unique and colorful approach to promotional badges and labels. 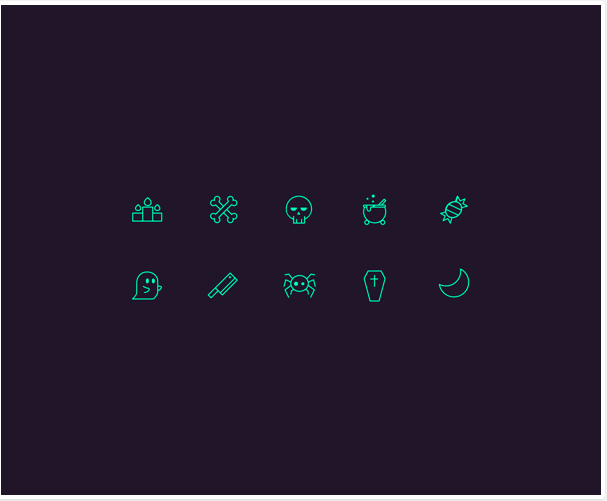 This pack of Halloween-themed icons are a great addition to your web design. 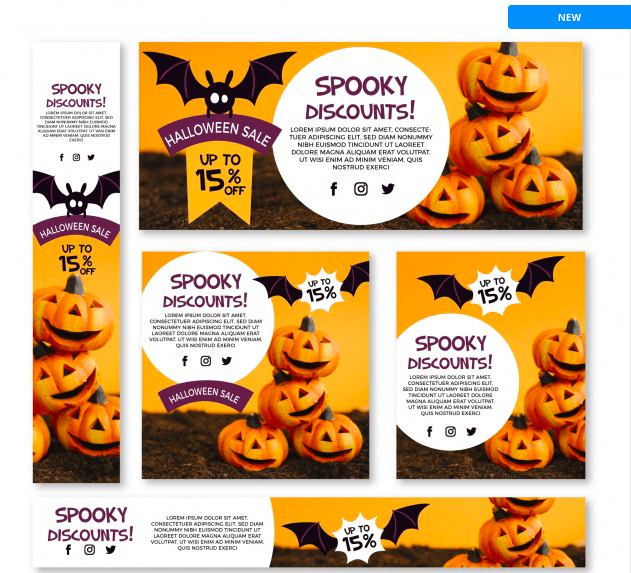 With the appearance of a flat object and bright colors, this design makes for a unique and interesting take on Halloween web design decorating. 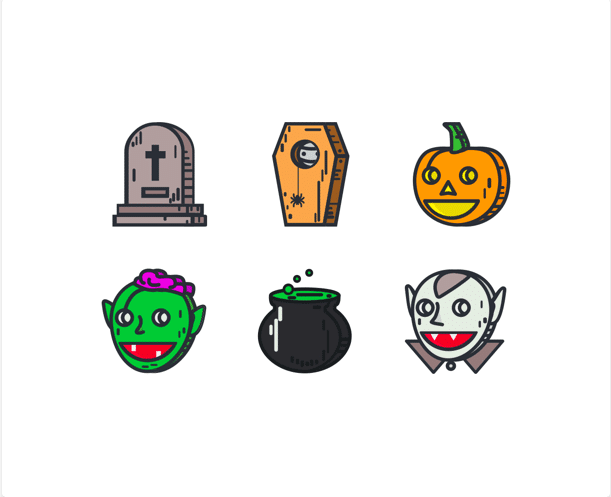 Appearing as if just pulled from an old video game, these Halloween inspired icons are simple, yet cute and unique, all fitting into the theme of sprucing up your web design for the holiday. 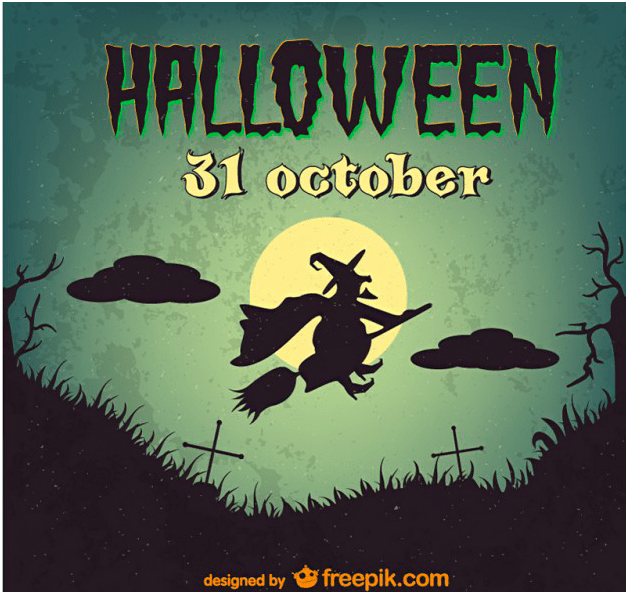 This freebie is great because it offers you highly detailed, colored, and Halloween themed icons that you can use on your web design for free. There aren’t too many deals like this around! Featured here is a collection of awesome designs in the form of emoticons. Adding these freebies to your web design can make it more fun and engaging for your visitors! 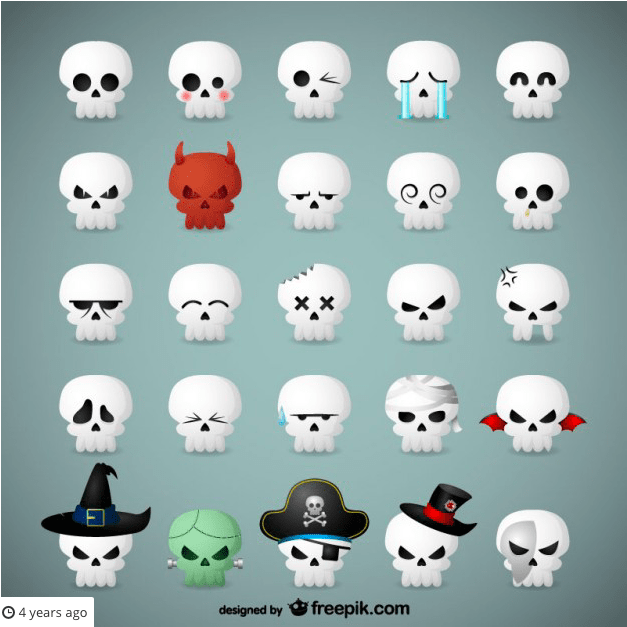 Much like the pumpkin emoticons above, this list of Halloween themed inspired skull emoticons are cute and just as engaging for your viewers. When you see a skull, the first thing that pops into your mind is costumes, candy, and Fall. 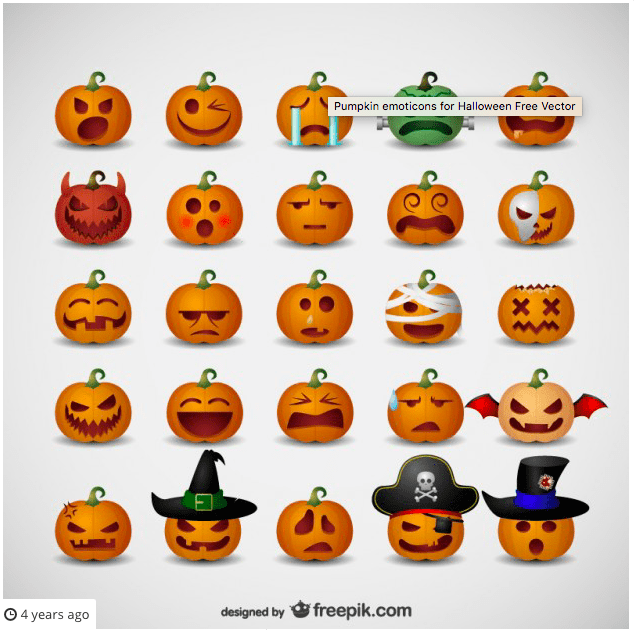 The only problem is deciding on which emoticon to choose, whether it be the pumpkins or the skulls!